Happy Christmas Eve, Eve, Eve! I can't believe it's only three days away. 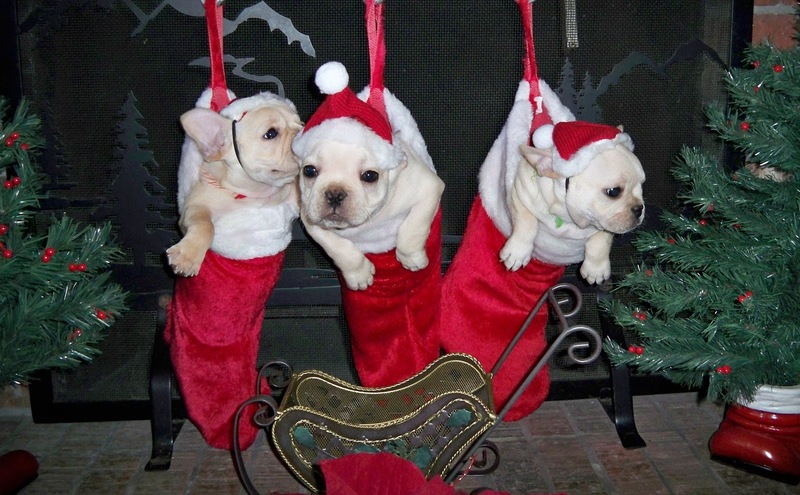 Hope everyone is having a wonderful pre-holiday weekend. Oklahoma has been very relaxing - lots of reading, sleeping, exercising, watching movies, eating fudge, and playing with the kiddo cousins. I am more than halfway through What Alice Forgot and am really enjoying it so far. Can't wait to share my review on January 7th. I also have am awesome no-equipment-required workout to share with you that can be done at the gym or at home if you are traveling over the holidays. 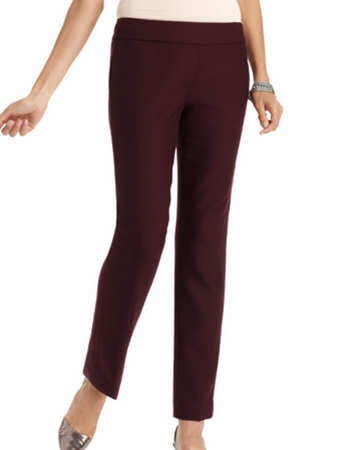 And, and, and I found some awesome oxblood ankle pants at LOFT yesterday that I am very excited about. Before we get to that workout, does anyone watch/remember the "Weekend Update" segment from Saturday Night Live? I don't really watch the show anymore, but I love this particular clip from back in the day. It's on one of the "Best of Will Ferrell" DVDs, which is where I first saw it. My friend Kelly and I discovered this clip when we lived together after college and have been quoting it ever since. "Colonial footsoldier!" I thought of the video when I came up with the post title and figured I would pass it along. Vintage Will Ferrell is amazing. Sewww, about that workout. I got the idea from this post on Carrots n' Cake about a "chipper" workout from her local Crossfit box. Tina describes a chipper workout as "a longer workout with lots of different exercises and high reps so you 'chip away' to get through it." I changed the original workout a bit to make it possible to do at home or in your hotel room with no equipment. I did the workout at the YMCA near my aunt and uncle's house, so I used equipment on a few of the moves, but I have included variations for those of you who want to do it at home. I have also included descriptions or demonstrations of the moves in case you are not familiar with them. Including a 5 minute warm-up, a couple minutes setting up my equipment, and a few minutes stretching and cooling down at the end, the entire workout took me 50 minutes. The actual "chipper" part of the workout took 36. I could have pushed myself a little harder on some of the moves (my burpees were beyond embarassing), but even so I still burned over 450 calories and got in a full body workout. I'll take it. Complete all of the exercises below, in order, resting as needed. Plank Heel Presses - Assume a foream plank pose and press back with your heels, sliding your body in a back and forth motion. Mountain Climbers - There are a few ways to do these, but the way I did them was to quickly alternate pulling each knee into my chest without actually jumping or placing the front foot on the floor. Basically the way she does them in this video starting at 0:54. Kettlebell Swings - If you do not have a kettlebell, replace the kettlebell swings with frog hops. I might try these next time. They look even harder! Tricep Dips - To make the tricep dips more challenging, move your heels away farther away from your booty. Straight legs is the most advanced variation. Burpees - To modify these, use your hands to walk your body down and back up. Just make sure your chest is the first thing to touch the floor after your hands, and the last thing to leave the floor before your hands. I definitely had to modify these after all those push-ups! Wall Sits - For the wall sits, hold a wall sit for 20 seconds, then rest for 10 seconds. Repeat this 30 second sequence 10 times for a total of 5 minutes. Let me know if you try this workout and, more importantly, if you beat me! Like I said, I wasn't dying at the end so I probably could have pushed myself a little harder. Next time I will aim to beat my original time and to improve my form on the burpees. I am thinking this workout has earned me a rest day and look forward to heading home bright and early tomorrow morning (and possibly probably not starting to tackle my to-do list). Cleaning out my closet is one of the items I really want to accomplish over the holidays. I'll definitely listen to this song while I do it to maintain my motivation and minimize any hoarding-buried-alive tendencies. Can't wait to take my unwanted clothes to Buffalo Exchange and get $3 in store credit! This post is getting a leetle wordy, so I will leave you with what is possibly my favorite scene in Love Actually (I apologize for the horrible quality, but you get the idea), and wishes for a "Lazy Sunday" ahead. What has been the highlight of your pre-holiday weekend? Uncle Jamie: love him or hate him?